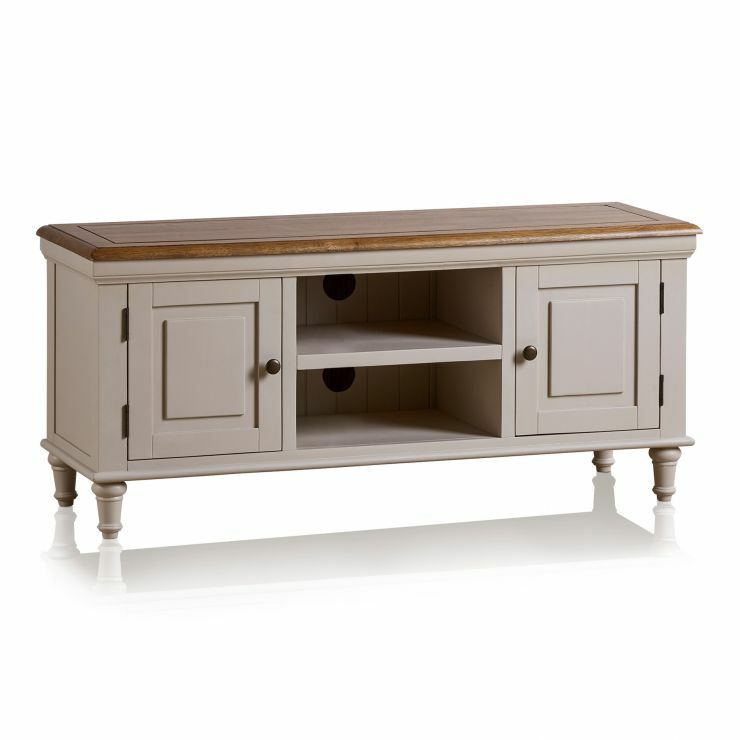 Our Shay large TV cabinet is a beautiful addition to any living room. 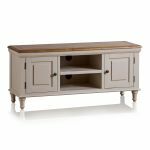 Made from solid hardwood in a beautiful painted finish, it boasts excellent storage with its cupboards, shelves, and solid oak top - sturdy enough to support even the largest television set! 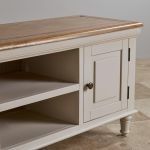 We've finished Shay in a beautiful shade of almond grey paint, which perfectly complements the solid oak top in our popular rustic-toned protective wax. 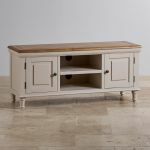 Completing the elegant design are details such as the delicate top cornice, dark metal hardware, and gently turned legs. 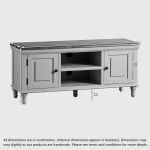 This stunning tv unit also has clever features, such as exit holes are the back for cable management, keeping your living room looking its best. Browse all of our Shay range today. 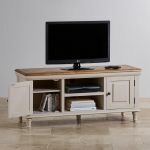 Caring for your new Oak Furniture Land pieces is surprisingly simple, and can greatly extend the life of your furniture. 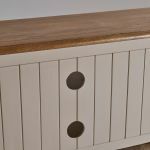 We recommend regular treatment with Furniture Wax Polish, which will help to maintain proper moisture content in the wood. 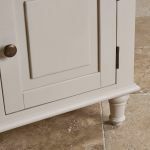 By just treating your furniture with the wax polish when it arrives at your home, and then in three-month intervals thereafter, you will nourish and protect the timbers, creating a long-lasting protective seal. Use coasters, placemats and tablecloths to protect furniture during use.